UPDATE: HMV to close 37 more stores, including Heathrow airport branches, with loss of 450+ jobs | What Hi-Fi? 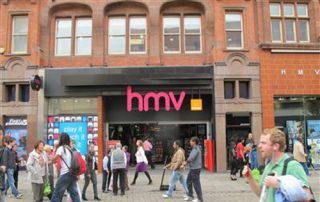 The latest closures, part of the company's administrators' endeavours to find a future for the chain as a going concern, will leave HMV with a portfolio of 116 outlets. HMV is to close 66 stores, with the loss of nearly 1,000 jobs, as administrators restructure the struggling music and film retailer. HMV currently operates 220 stores in the UK but a number of stores have now been earmarked for closure as the administrators, Deloitte, review the company’s financial position. Administrator Nick Edwards said he still has hopes to secure a future for HMV as a restructured business. 45 stores in England, 11 in Scotland, nine in Northern Ireland and one in Wales, are all set to be closed down in the coming months. There are also plans to sell off the flagship store on London’s Oxford Street, with offers from £6 million being considered. HMV has faced fierce competition from online retailers and digital downloads in recent years, with dwindling sales then compounded by a poor Christmas period. Announcing the changes, Edwards said: “We continue to receive strong support from staff and are extremely grateful to them for their commitment during an understandably difficult period." There are still hopes of rescuing the company however, with Hilco, a restructuring specialist and the group behind HMV Canada, buying the company’s debt. The move could allow them to eventually take full control of the company. The news comes the day after Apple iTunes announced it had sold its 25 billionth download, neatly highlighting the way the public's music buying habits have changed. The HMV stores in England earmarked for closure are Ashton-under-Lyne, Barnsley, Bayswater, Bexleyheath, Birkenhead, Birmingham Fort, Blackburn, Boston, Bournemouth Castlepoint, Bracknell, Burton-upon-Trent, Camberley, Chesterfield, Croydon Centrale, Durham, Fulham, Huddersfield, Leamington Spa, Leeds White Rose, Loughborough, Luton, Manchester, Moorgate, Orpington, Rochdale, Scunthorpe, South Shields, Speke Park, St Albans, St Helens, Stockton-on-Tees, Tamworth, Teesside, Telford, Trocadero, Wakefield, Walsall, Walton-on-Thames, Wandsworth, Warrington, Watford, Wellingborough, Wigan, Wood Green, Workington. In Scotland, HMV stores operating in Dumfries, Edinburgh Fort, Edinburgh Gyle Centre, Edinburgh Ocean, Edinburgh Princes Street, Edinburgh St James, Falkirk, Glasgow – Fort, Glasgow – Silverburn, Glasgow Braehead, Kirkcaldy, will be closed down. While Northern Ireland will see closure of HMV stores in Ballymena, Belfast Boucher Road, Belfast Forestside, Coleraine, Craigavon, Derry, Lisburn, Newry, Newtownabbey; Wrexham store in Wales is also on the hit list.